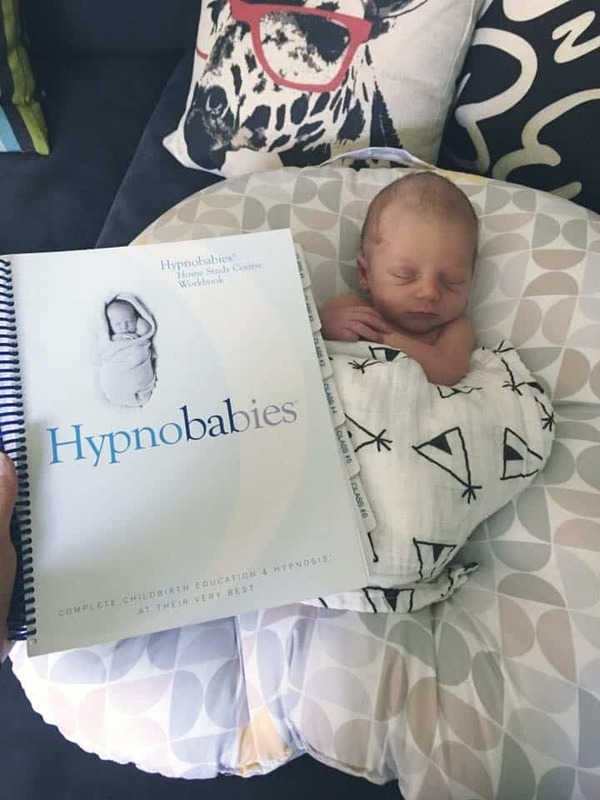 I want to encourage others by telling my Hypnobabies experience with my first pregnancy/child…. I learned about this program from a hospital midwife when I explained to her my desire to have a completely natural water birth. I started the program when I was 27 weeks pregnant and stuck with the weekly readings and listened to the daily audio tracks every day at different times of the day (and yes, fell asleep the majority of the time). Also, after the 6 weeks of reading, I would flip back through the book every now and then to keep current on the info I learned. On the day my birthing time began I was 40 weeks and 5 days pregnant. I visited my chiropractor around 2:30 pm that afternoon to see if a pelvis adjustment could get any birthing waves started ? ?and after, I started getting mild crampy feelings similar to period cramps throughout the rest of the afternoon. Once I returned home from work at 5:30 pm that evening, I did some activities around my home and then bounced on my birth ball off and on from 8:00 pm to 10:00 pm and I could feel the waves slowly increasing but I still wasn’t sure if I was in my birthing time. I took a shower before bed and noticed my mucus plug coming out but knew that that is not a certain sign that you’re in your birthing time so I went to bed around 11 pm for some rest and I could notice the waves from earlier still present and still increasing. I put on birthing tracks, I cannot remember which specific ones, to listen to while sleeping. I was able to sleep in between the waves I was experiencing and would breathe slow and deep when a wave woke me up. After an hour or so, the waves intensified a little more so I got out of bed and walked around my house, still listening to Hypnobabies tracks. When a stronger wave came, I would lean onto my kitchen counter, breath, and sway my hips through it. The rest of the evening I alternated from laying down and getting rest and walking through my home. The car ride was difficult just because standing was my most comfortable position to breathe through the waves. We reached the hospital ER at 6:22 am and did the check in process and were taken up to a delivery room. Heartbeat was monitored for 20 minutes while I was asked all the standard questions. I stood this whole time and bent over to rest on the bed during a wave. It was 7:00 am when I had my midwife check me and I was at 7cm, 90% effaced, and 0 station. She started inflating and filling the water birth tub, which is a 30 minute process. During that time, my waves transitioned over from dilating to pushing within 10 minutes of when she initially checked me. I moved to an all fours position on the bed and pushed with my body as the waves came until the tub was ready. I moved into the tub probably around 7:30 am and continued to push with my body. My baby girl was born at 8:03am. My birthing time only lasted for about 9 hours! I feel blessed that the hospital I chose had a staff familiar with the Hypnobabies program and used Hypnobabies language throughout when talking to me. I believe Hypnobabies fully prepared me for what to expect and how to stay calm and comfortable throughout. So if anyone out there is uncertain if this program will work for them, clear that fear out of your mind and tell yourself it will work! It is amazing! Thank you Hypnobabies for helping me have the most wonderful, perfect birth I could have ever imagined for myself and my precious baby!